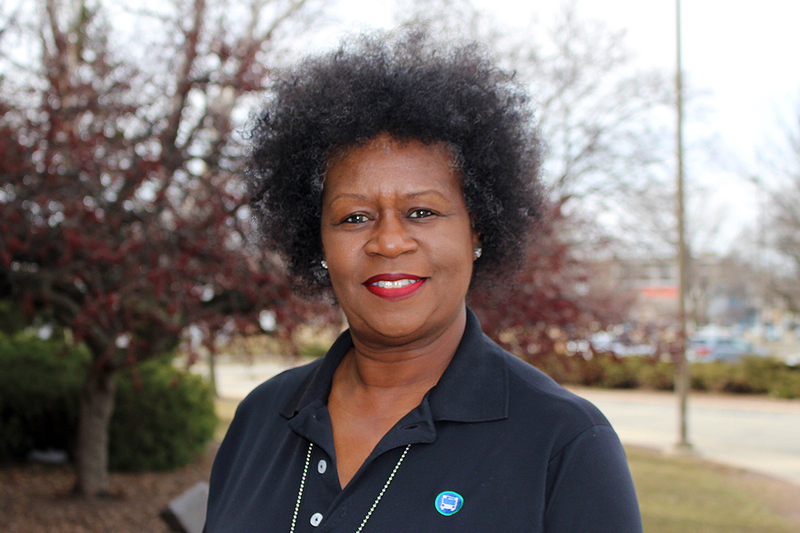 MCTS Driver Vickie Foster was navigating her bus through a snowstorm on January 28th, 2019, when she noticed someone walking in the middle of the road near 12th and Winnebago in Milwaukee. Concerned about the unusual and potentially dangerous situation, Vickie slowed down and asked the woman, who was holding a baby boy, if she needed help. The woman explained that she was looking for her son’s shoes — which must have fallen off while they were trudging through the blizzard-like conditions. Moments later, Vickie spotted a tiny, dark speck in the distance. She drove her bus there, opened the door, and was excited to see a tiny pair of shoes laying on a mound of snow. Vickie picked up the shoes, ran toward the grateful mother and her child, and invited them on board for a warm ride home. Thank you, Vickie, for your kindness, compassion and MCTS Excellence.